I've got a fun giveaway today brought to you my some of my favorite peeps to work with, Alexia Foods. 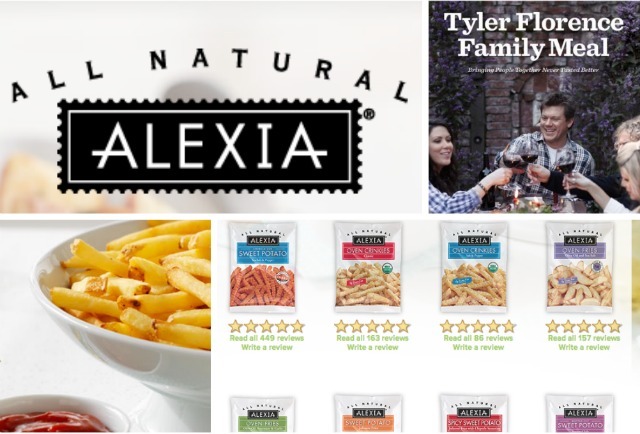 I along with 21 other bloggers worked with Alexia Foods in the campaign to reinvent a classic, by coming up with a new flavor of fries. You can read about my french fry party here and the flavor I created here. My flavor was not picked as one of the 4 finalists. No biggie, because the flavors that were picked were well chosen. And now the best part is that we can vote for the new flavor of fries that will be sold in your supermarket. 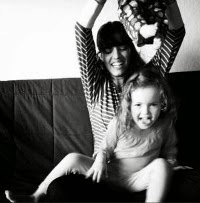 Visit Alexia Fries on Facebook and vote. All voters will be eligible to download a $1 off coupon for any Alexia product. In addition all voters will be entered to win an exclusive meal for two in San Francisco, all expense paid, prepared by the ever so charming Tyler Florence. And here on Kitchen Corners we're giving away a gift bundle to one lucky winner where you'll get an autographed copy of Tyler Florence's latest book - Family Meal, 3 coupons for a FREE Alexia product, and an Alexia apron. Seriously, I hope you win! The Prize: An autographed copy of Tyler Florence's latest book Family Meal, 3 coupons for a FREE Alexia product, and an Alexia Apron. Must have a U.S mailing address. To Enter: Leave a comment any comment will do.+1 more comment: You can get more entries by becoming a Kitchen Corners' Follower using Google Friend Connect on the sidebar. Giveaway closes: Midnight Tuesday PST November 15. The winner will be randomly selected, contacted via email, and announced next Wednesday. This giveaway is now closed. Congratulations to Melissa.